Claire marveled yesterday at how I was able to pack all those activities into my Sunday. Well, marvel some more -- I forgot to include our little foray to Very Berry (227 W. Valley Blvd., San Gabriel), which is located in the same strip mall as Cowboy's Steakhouse (and Pa Pa Walk and Ajisen). 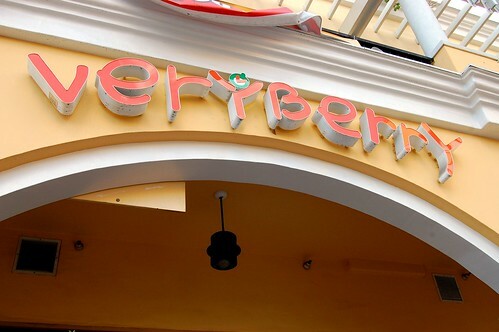 It's yet another well-executed pinkberry knock-off. 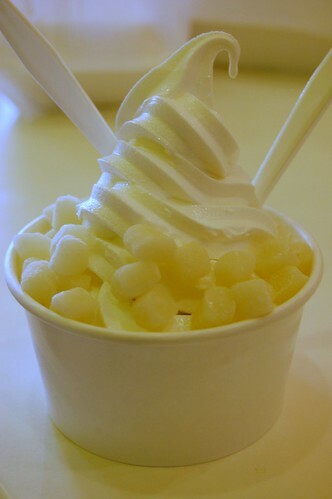 The yogurt is deliciously tart with strong lemon undertones and is extremely creamy and not icy. 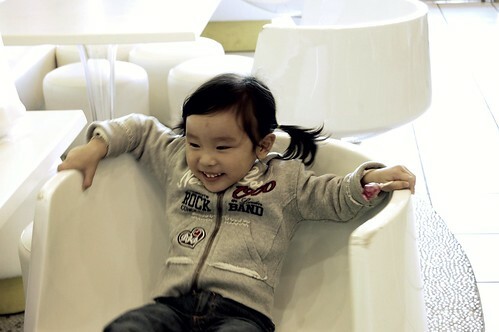 Little Monkey Niece was delighted by both the yogurt and her spinning chair. The store seems to be taking a new route, however. In an attempt to capitalize on the current craze over Korean-style spicy fried chicken, Very Berry will soon turn into Coo Coo Chicken. I think the name says it all. But will they still sell yogurt? 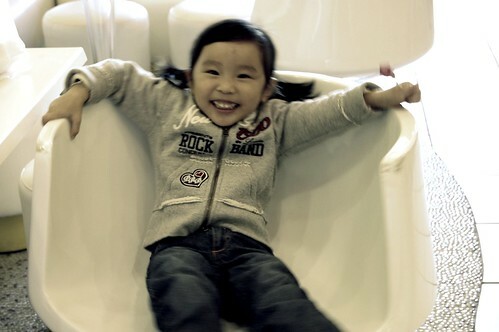 spinning chairs make everything better. well, as long as LMN hasn't had too much yogurt first. ditto the not knowing about the craze for chicken. i'm thinking i'd really like the tart yogurt with a lemon undertone. yum! Mini monkey has great hair. add me to the list of people who didn't know about the chicken craze. Hey, is that chicken farting? 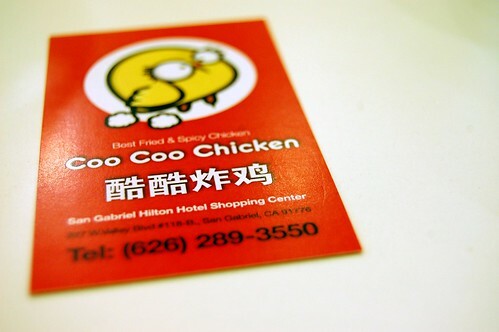 Coo coo chicken? That just sounds wrong. I always love the looks on LMN's face, always so happy. Made me smile. I've only tried Kyochan's chicken. It was good but pricey for the small amount of chicken you get. The fried rice was horrendous. 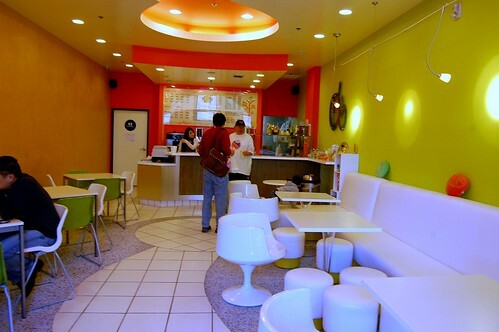 I still cannot get over how many yogurt places there are out there now. Great pics of LMN spinning in the chair! LMN is really the cutest thing ever! Add me to the clueless about the chicken craze group... But the lemony yogurt sounds awesome!